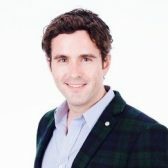 Dr. Daniel Grace is an Assistant Professor at the University of Toronto, Dalla Lana School of Public Health, Social and Behavioural Health Sciences. Daniel is a sociologist who conducts research related to the social determinants of health, HIV and STI prevention strategies, and the sexual health of gay men. Daniel completed his postdoctoral research at the University of British Columbia and the London School of Hygiene & Tropical Medicine. He is currently working on multiple qualitative and mixed methods studies funded by the Canadian Institutes of Health Research (CIHR) in Toronto, Vancouver, and Montreal in the areas of health care access, HIV and STI prevention, and mental health for diverse communities of gay men. These studies include a focus on conducting qualitative analysis to understand how HIV prevention strategies and biomedical technologies are used and understood by gay men in their everyday social and sexual lives. His recent first authored publications have appeared in Critical Public Health, Culture, Health & Sexuality, AIDS Education & Prevention, AIDS Care, and Health & Place.